Moralists, I respectfully submit, are not shrinking violets. They do not go “quietly about their business.” They are not avoiders of controversy. On the contrary, their eager seeking of controversy is one of their salient characters, and their gross abuse of opponents is another. The Lord’s Day Alliance and the Anti-Saloon League devote themselves almost exclusively to excoriation. Their one permanent theme is the villainy of their antagonists. And the vice crusade, for all its pious pretenses, puts nine-tenths of its faith in the policeman’s club. Its patron saints are Anthony Comstock and Tomas de Torquemada. Its central doctrine is that all men who question the efficacy of its moral bile means—for example, Brand Whitlock and Havelock Ellis–are heretics, atheists, voluptuaries and scoundrels. Black lives mattered before Trump? This is why we worry about those who use the present to turn history into morality plays. What history does best is teach students we’ve been here before, all is vanity. Only Whig historians believe in progress and then are surprised when their narratives let them down. What Good Do Church Statements Do? The abuse and misuse of opioids has become a national and local epidemic that has increasingly been felt in the Commonwealth of Massachusetts in recent years. On average, four people lose their lives each day in this state, due to illegal and legal drug overdoses. It is a disturbing trend that must be stopped. In this year of Divine Mercy in the Catholic Church, we, the four Bishops of Massachusetts join health care professionals, law enforcement, first responders, elected officials and countless others affected by this epidemic in calling for a comprehensive plan to address this growing crisis. Given the scope of the problem, we feel some degree of urgency to find a solution to this public health and policy crisis that has reached dangerous levels. The lives negatively impacted by this disaster represent all economic, age, gender or racial categories. The impact is far reaching, leading to the eventual breakdown of families, friendships, neighborhoods and communities. The solution to this tragic problem is not easy to define; it will be even more difficult to implement. The enormity of the problem, however, calls for an immediate and sweeping response. As that response is crafted, we must be mindful that on one hand, medical professionals must continue to care for their patients by prescribing these powerful drugs for long and short term pain management. On the other hand, overuse by the patient, along with access to vast quantities of opioids by unintended users, often leads to abuse, addiction and death. We exhort health care providers to demand improved education within their own professional groups about the appropriate indications, prescriptions and use of opioid medications. We must offer help, support and comfort to those who have formed an addiction to prescription pain killers, as well as to those individuals who have formed an addiction to illegal drugs. While new legislation alone will not solve the opioid crisis in Massachusetts, it is a critical step that must be taken soon. We urge the Governor and the legislature to continue their work on this legislation and to provide the necessary resources, human and fiscal, to implement comprehensive education and treatment services to address and correct this ever-growing crisis. We encourage our sisters and brothers who are suffering addiction or the addiction of loved ones to turn to their faith community for support, counsel and compassion, and we pray that those most affected will receive the physical, emotional and spiritual help that they need. How different is something as unspecified as this call to action from the sorts of complaints that students have been bringing against university administrations, such as the Black Students Union at Johns Hopkins University? 1. We demand a public address to be held by the administration (including but not limited to President Ron Daniels, Provost Lieberman, Provost Shollenberger, and the Board of Trustees) to The Johns Hopkins community in which President Ron Daniels will announce an explicit plan of action detailing how the following demands will be instated. 2. We demand that The Johns Hopkins University creates and enforces mandatory cultural competency in the form of a semester long class requirement for undergraduate students as well as training for faculty and administration. 3. We demand that the Center for Africana Studies be recognized as a Department. 4. We demand an increase in the number of full-time Black faculty members, both in the Center for Africana Studies and throughout other departments within the institution. Moreover, we demands equal representation of self-identifying men, women, and non-binary Black individuals within these positions. 5. We call on The Johns Hopkins University Krieger School of Arts & Sciences to support the hiring of faculty concerned with the history, culture, and political position of peoples of African descent. 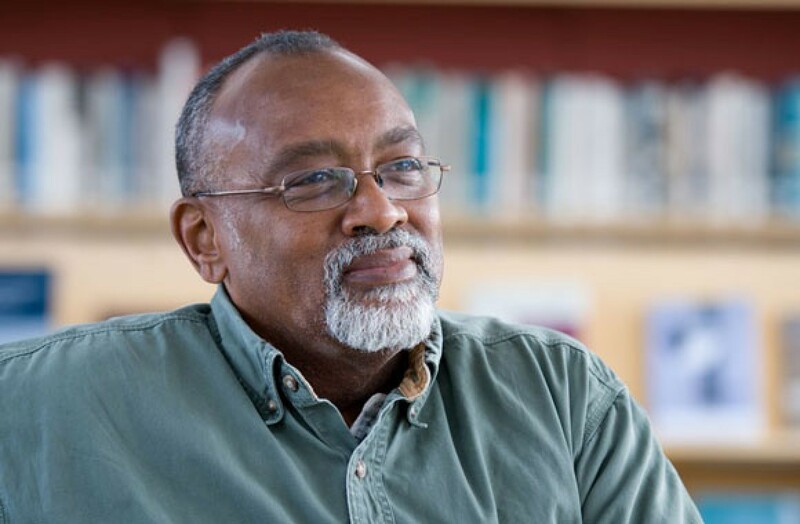 Calls for diversifying faculty are important, but equally crucial is attracting faculty whose work creates a scholarly community dedicated to Africana studies. 6. We demand accountability for peers, faculty, and staff who target Black students both inside of and outside of the classroom. Attending to such situations must transition from a passive email sent to the student body, to an active stance taken against racial intolerance by the administration. Perpetrators that aim to make Black students uncomfortable or unsafe for racial reasons must complete additional diversity training and face impactful repercussions for their actions. 7. We demand a transparent five year plan from The Johns Hopkins University Office of Undergraduate Admissions regarding the welcoming of and retention of Black students. We demand black bodies be removed from diversity marketing campaigns until Hopkins addresses the low quality of life here that many Black students experience and the problems with retaining Black students all four undergraduate years and then takes the necessary steps to resolve them. 8. We demand more Black professors within the Women, Gender and Sexuality program to add a new dimension to the Department on intersectionality and inclusivity that is currently being neglected and ignored. Actually, in most cases the students’ demands are much more specific than the bishops’ statement. If Massachusetts were a Roman Catholic state, the call by church officials to governmental officers to look into a certain matter might make sense. Or, if the bishops sent a memo to the administrators and public health officials at Roman Catholic hospitals and medical schools and asked for policy recommendations, they might have more to say even while not exactly ministering God’s word. But at the end of the day is a statement like this from the church anything more than an indication that bishops care? Didn’t church members already know that? If Bill Smith thinks Michelle Higgins’ endorsement of Black Lives Matter at Urbana won’t end well for the PCA, imagine what will happen when the BLM folks figure out that a black professor may be about to lose her job at a white-dominated college. An African-American tenured professor!!!! HELLO! And students at Princeton think they need to be worried about “safe” spaces. And if that happens, it is really too bad. I was almost persuaded by Dr. Hawkins’ theological explanation of her remarks. I am convinced that she is trying in thoughtful ways to maintain the College’s standards. When she said, “I understand that Islam (and Judaism) denies the deity of Christ and the Holy Spirit, and leaves no room for the Cross and the Resurrection,” I was encouraged. She seemed to be ready to recognize the particularity of Christianity and the uniqueness of Christ. Well, what about a piety that embodies soteriology or the Trinity? How can you have a Christian devotion that only embodies the first article of the Nicene Creed? For nine years I have signed a statement of faith which avers that all human beings originate from the same parents and bear the unalterable imago Dei – though no specific reference is made in the statement as to the process of that historic, original creation. Yes, when we Christians speak of our unity in and as the body of Christ, of course our unity stems from our identification with Christ. But my statement is not a statement of ecclesiology or baptismal regeneration or identification with Christ. It is simply and clearly a statement on the imago Dei, and a reflection of my African-American cultural heritage. It should not be misconstrued as anything different. So, yes, when I call “fellow humans who happen to be Muslims [or Jews or atheists] my brothers and sisters” I am standing in full agreement with the Wheaton College statement of faith, identifying each person as an image-bearer of God. Why can’t the distinction between creation and redemption (think 2k) supply the way out here? Why can’t Hawkins recognize the unity of the human race in the ex nihilo creation of the world by the only living and true God? Why isn’t that enough to affirm the worth of Muslims? Why not even appeal to the status of Muslims as citizens of the United States? But as is so often the case with those who don’t distinguish between the temporal and eternal, the affirmations of unity based on creational norms lose momentum for accomplishing something truly noteworthy. Hawkins wants to seem to say this unity with Muslims goes somewhere special, so the sphere of redemption comes to the rescue. But that is precisely the area — in Christ — where Christian unity excludes Muslims. The former worship on Sunday in a church. The latter on Friday in a mosque. No matter what Black Lives Matter finds out about Hawkins, Christ’s words don’t encourage me to think this will end well.